Published: Aug. 6, 2015 at 06:46 p.m. Updated: Aug. 28, 2015 at 03:03 p.m.
We all know that the long months of the offseason can cause fantasy owners to artificially build up the stock of player's potential. These situations only get crazier the closer we get to the season. Sometimes these boosts are hype trains that fantasy owners should gleefully board on the way to a league winning investment in a player. Other times, the build up is just a smoke screen caused by overblown praise from the team, or a misdiagnosis of the player or their situation. In this edition, we'll look at three young players who the drum beats for are growing increasingly loud. Tight end scoring is the most nebulous of any in fantasy football. Outside of the mainstays, nearly any player with a pulse at the position could finish as a top 12 scorer in a given week. There was a 30 point gap between Rob Gronkowski as the TE1 and the TE2 (Antonio Gates) in 2015. Common fantasy philosophy holds that you should wait until the later rounds to make an investment at tight end, if you pass on the exclusive elite tier. That top group is a two man show comprised of Rob Gronkowski and Jimmy Graham. However, 2015 might see a third player, in Travis Kelce, knock on the door of the gold encrusted tier. Kelce was a late 13th round pick in drafts prior to the 2014 season. In the span of just one year fantasy fans have seen his ADP jump almost a full 10 rounds. With his price going completely through the roof, fantasy owners must ask themselves whether the Chiefs tight end will be worth a premium investment. Is this a hype train worth boarding, or a smoke screen from offseason tropes we are bound to regret sniffing around? Let's examine all the factors. On the surface, a former third-round pick at tight end should not send anyone running to hills to find a crown made for a fantasy deity. A closer examination reveals that Kelce was no ordinary third-round pick. The former Cincinnati Bearcat's college career was slow to take off. Kelce's missteps included serving a year-long suspension for violating a team rule, and alternating his focus between quarterback and tight end. However, when he finally saw major playing time, he was dynamic. Kelce averaged 16 yards-per-catch and scored eight touchdowns in his final college season. As a physical specimen, Kelce is in elite company and one of the most gifted tight ends in the NFL. His 40-yard dash time, his vertical leap and three-cone drill are all right within the range of, or better than the numbers posted by Rob Gronkowski. Some of that immense talent came to fruition in Kelce's first full NFL season, he missed most of 2013 due to microfracture surgery, as he finished as the ninth best tight end in standard fantasy leagues. He accomplished this all while playing only the 23rd most snaps among NFL tight ends. His opportunity is what limited his production, because Kelce played like a top-three player. The Chiefs second-year tight end was one of the most efficient players at his position, posting the highest catch percentage (77-percent) among tight ends with at least 50 targets. What's more impressive is just how much Kelce did on his own. We know the Chiefs run a dink-and-dunk offense, and as such, Kelce had a low 6.3 average depth of target (per Pro Football Focus). However, his yards per target was an impressive 9.9, which means he was gathering the vast majority of his yards making plays after the catch. Indeed, he ranked first among tight ends with 503 yards after the catch, good for 58.4-percent of the total yards he collected. This ability is essential to own as a pass catcher working with Alex Smith. Outside of Gronkowski, there is no tight end who combines dynamic athleticism with a fierce edge to his game like Kelce. The most important part of projecting growth for Kelce is whether his share of the passing game has a chance to increase. Nearly every fantasy owner, even those who did not own Kelce, would groan any time Anthony Fasano appeared on the field, much less caught a pass. Fasano had little left to offer the team as a receiver, but still absorbed seven-percent of the team's targets. The veteran tight end is not back with the team for 2015, so Kelce should inherit those looks with little resistance, and he knows it. Even more important is that Kelce will be more up to the task to physically do more this season. After the conclusion of 2014, Kelce went on record saying, "If I went out there playing more snaps than I did, I mean who knows. I might not have been able to make it. My knee still wasn't full strength last year, which is why I'm excited about this year. Now I get the time to take a full offseason and get my legs ready and get my upper body and my explosiveness back that I know I really had. I didn't really feel that comfortable out there on the field but we made it work". If last year was just a recovery in the wake of his microfracture surgery and a "making it work" season for Kelce, just imagine what he can do at full strength. There were not many players that were more fun to watch just play football last year than Kelce. The type of players we universally cheer on when they score a touchdown; the type of guy you play fantasy football to draft. When I watch tape, Travis Kelce reminds me of Zeus. If his ADP is any indication, fantasy owners are expecting Kelce to emerge as the next breakthrough player at tight end. In drafts taking place since July 15th, Kelce went off the board as the TE3 in the fourth round range. The hype train is at a peak. Given that he's an all-world talent, with a growing opportunity and just scratching the surface of his potential, Kelce's hype train is as real as it gets. I'm adjusting my tight end draft strategy from get Gronk or punt the position, to factor in a "look at Kelce" option. He's the only player with a Gronkowski ceiling, and that includes Jimmy Graham. The fantasy community has been waiting for this moment for a long time. The masses have bemoaned the lack of chances given to uber-athletic running back, Latavius Murray, as the team deferred to ineffective veterans. Now entering his third season, it appears the time has finally come for Murray to secure the starting job. When asked if Murray could be a 1,000 yard rusher, General Manager Reggie McKenzie replied, "No question. He can do it all." His coaches are also excited. "For a big guy, Latavius has extremely good quickness," offensive line coach Mike Tice said. "And when he gets behind his pads, he is hard to tackle. Smaller linebackers might be in serious trouble". Tice is correct in identifying that Murray is a rare physical specimen. Quite simply, he's an athletic freak who's most comparable player from a measurables standpoint, is Adrian Peterson. Murray brought some substance to accompany all the sizzle, as he made a number of big plays when he finally earned playing time last year. Moments like that run against the Chiefs, and a 108 total yard game against a tought Bills run defense has fantasy owners lining up to secure him as the next breakout back. In MFL10 drafts taking place since August 1st, he's gone off the board as the RB21. That is an iron price, and while I'm excited Murray is finally getting a chance, I struggle to envision him paying off that ADP. I have a personal fantasy philosophy. Do not take two-down running backs on bad teams as cornerstone of your fantasy squad. When a team is not playing well, they naturally have to run the ball less, and are forced to pass more often while playing in catch-up mode. For example, Murray's 2014 Raiders finished with a 3-13 record and were one of the worst teams in football. Not coincidentally, they finished dead last in the NFL in terms of rushing attempts, with 337. This reality is not a fluke, as four of the squads in the bottom five of run plays called also earned a top 5 NFL Draft pick last year. The fifth team was the Bears, whose running back Matt Forte was the only player from these teams to finish in the top-35 of average fantasy points per game. Despite being on a team with low rushing volume, he was able to recoup his fantasy value due to an immense role in the passing game (102 catches). Murray will not be able to accomplish the same feat as Forte in 2015, due to the presence of Roy Helu. The former Washington running back is an underrated player, and one the Raiders were happy to sign in free agency. Just like Murray, he's a very athletic player, but his real value comes in the passing game. Helu averaged 40.7 catches a year playing for Washington, when he played at least 14 games in a season. He would regularly replace the starter, Alfred Morris, in passing situations. At the very least, Roy Helu will serve as the passing down back over Murray, and may make for a nice late-round PPR sleeper himself. When Oakland is losing, it will be Helu on the field over Murray. So while Murray could have a nice season in his first year as the bell cow, his season-long ceiling will be capped. If you are expecting Murray to pay off his ADP and ride off on his hype train into the sunset, you must expect the Raiders to be a markedly better team this season and win many more games. That is a tough sell all around. Despite many calling his selection in the NFL Draft a curious choice for the Colts, the Phillip Dorsett hype train began fueling up in OTAs. Now that training camps are open, it's going full steam ahead. In speaking on the Colts reaction to adding Dorsett, NFL Media insider Ian Rapoport asserted, "They could not be higher on Phillip Dorsett. I think they think they added a superstar". Fantasy owners are rightfully thrilled to add any piece they can get of the sure-to-be explosive Colts offense. However, before this hype train really gets going, let's examine just how much Dorsett can actually be a beneficiary of his situation this season. The Colts did lose 265 targets with the departures of Reggie Wayne, Hakeem Nicks, Ahmad Bradshaw and Trent Richardson. Yet, the team added Andre Johnson, Frank Gore and might look to expand the role of last year's talented rookie Donte Moncrief. Johnson didn't join this team to see less than 120 targets, and he's already building a strong working relationship with Andrew Luck. Frank Gore is going to soak up most, if not all of those running back targets. Lastly, do not forget that a healthy Dwayne Allen will demand more passes than the 29 he caught last season, not to mention the presence of tight end Coby Fleener as well. The Colts ran the second most plays in the NFL last season, so they are capable of feeding of multiple weapons beyond Johnson and Hilton. However, with two tight ends in the fold, and the offense's dedication to throwing to the running back, it will be Dorsett and Moncrief that anguish with inconsistent involvement. The two will battle each other, and for as much as they may love their rookie, the Colts have been just as complimentary of the more experienced player. The Colts very well could have a future superstar on their hands with Dorsett. 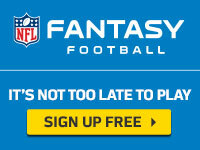 However, available targets and veterans in the pecking order dictate that redraft fantasy owners do not. Owning a piece of the Andrew Luck orchestrated offense is a good idea. But the fruits of that may come in later seasons when other players move on, more benefiting dynasty leaguers. The Colts like Dorsett enough to get him the ball in favorable situations, so he will have some big games for daily fantasy players. However, regular season long owners would be advised to not reach to capture a share of this offseason star. While the Colts are building a drum beat for Phillip Dorsett, his value still belongs in the very late rounds and undrafted ranks. If your league mates are going to board this growing hype train a year too early, your best bet is to just step out of its way. Matt Harmon is an associate fantasy writer/editor for NFL.com, and the creator of #ReceptionPerception, who you can follow on Twitter @MattHarmon_BYB. You'll find some decent fantasy advice on his account, but even better, there are dog pictures.